YSPSAH (7178) forming higher high & higher low. Will it rebound @ support level? 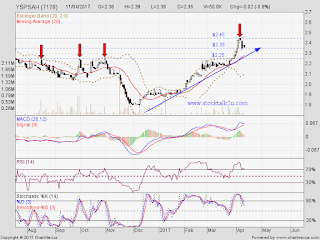 Immediate support @ RM2.35 level. 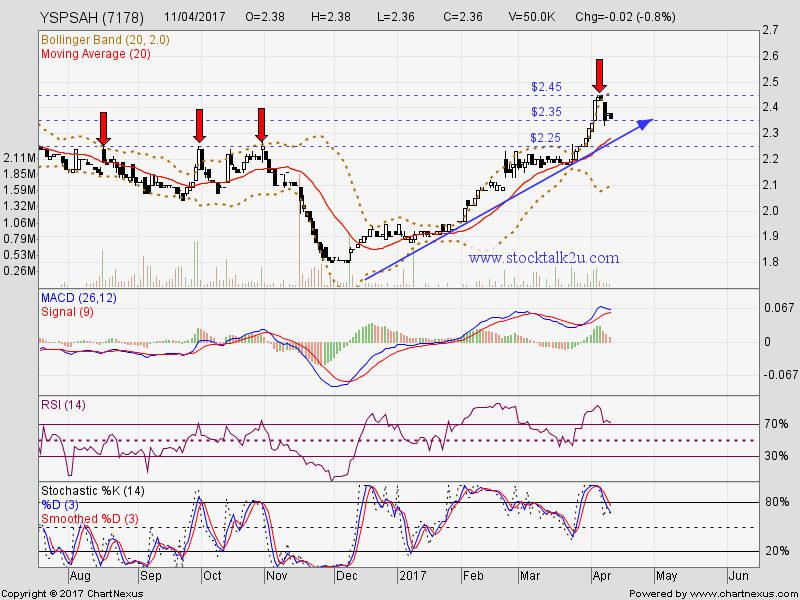 Subsequent resistance @ RM2.50 level.